All Our courses teach you to be a good motorcyclist, not just to scrape through the test, so you’ll be in good shape before you go to your motorcycle test appointment and ready to earn yourself the result you’re looking for! The direct access course full category A licence is for over 24s only. Test is to be taken on a min engine size of 600cc. If Over 24 we may use a combination of lower power bikes initially if required to build up your confidence and skill level and then onto the 600cc+ size motorcycles. We can transform you from a complete novice to a full license holder for any size bike in just a few days. Just think of it, a week from now you could be riding the bike of your dreams. No wonder this is our most popular course. 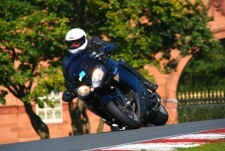 At Fresh start do pre book your motorcycles test for you free, all you pay is the test fee. With this test date we can then work out a DAS training plan individually tailored to you. knowing youhave a set date pre booked for your test. Most people are happy with our package of 2 ½ days but this Depends on your ability, confidence and previous experience. In order to reach the test standard. If you feel you do require more time we do offer you the opportunity to improve your skills and experience by giving you extra tuition at reduced rates. If you have your own equipment or road legal motorcycle, please feel free to use them for your training, as we want you to feel as comfortable as possible. 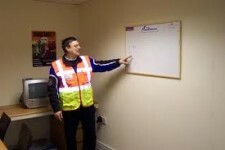 You will also need to bring your driving license CBT certificate and theory test certificate.